Our product range includes a wide range of industrial linear shaft, induction harden plated shaft, hardened linear shaft, linear bearing shaft, induction harden shaft and induction harden plated rod. 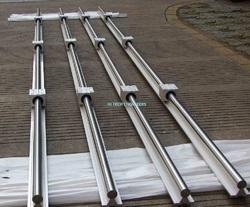 We are one of the leading manufacturers, suppliers, traders and distributors of Industrial Linear Shaft. 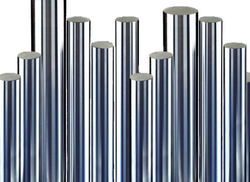 The offered shafts are manufactured from high quality stainless steel, which is procured from well known vendors. Due to low maintenance and optimum performance, these shafts are highly demanded in the market.We are best supplier in Pune, Nashik, Aurangabad, Sangli, Nagpur, Jamnagar, Ahmadabad, Vadodara, Rajkot, Indore/Dewas, Hyderabad, Cochi, vishakhapatnam, kasargod, Chennai, Coimbatore, Gawalior and Amritsar. We are offering Induction Harden Plated Shaft to our client. 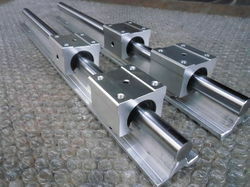 We offer high quality Hardened Linear Shaft to our valuable customers. Manufactured in compliance with the industry set standards, these shafts find wide application in various industries for transmitting torque and rotational energy from one part to another. As per the requirement of the customers, these shafts can be custom designed.We are best supplier in Pune, Nashik, Aurangabad, Sangli, Nagpur, Jamnagar, Ahmadabad, Vadodara, Rajkot, Indore/Dewas, Hyderabad, Cochi, vishakhapatnam, kasargod, Chennai, Coimbatore, Gawalior and Amritsar. Our company is instrumental in offering premium quality Linear Bearing Shaft to our valuable customers. These bearing shafts offered by us are widely used for transmitting motive power to a machine. The offered shafts are highly demanded in the market due to their impeccable finish, long functional life, and minimum maintenance.We are best supplier in Pune, Nashik, Aurangabad, Sangli, Nagpur, Jamnagar, Ahmadabad, Vadodara, Rajkot, Indore/Dewas, Hyderabad, Cochi, vishakhapatnam, kasargod, Chennai, Coimbatore, Gawalior and Amritsar. Induction Harden Shaft have high surface hardness, exceptional straightness and surface finish which are the basic needs for Linear Ball Bushings. 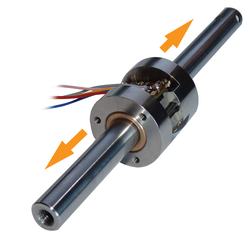 Above qualities of Shafts incredibly reduce friction and wear, enhancing Shaft and Machine life. Awide variety of Custom Designed Shafts can be delivered, including Tapped Holes, Inch Sizes, Special Machining and keyways along the length or at the ends of the Shaft. 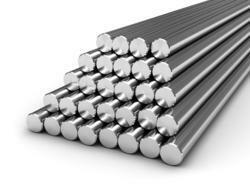 Shafts are Hard Chrome Plated ensuring maximum safety against corrosion. This is a standard feature available from stock.